Car accidents are a leading cause of injuries and deaths in California. Whenever you are involved in a car accident it is always best to seek the help of an experienced car accident attorney to handle your case. 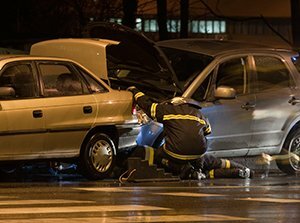 For years, the lawyers at the Lalezary Law Firm have aggressively represented car accident victims. The rules of the road and laws involving traffic accidents are complex. Attorney Shawn Lalezary and Attorney Shervin Lalezary have a unique perspective of the law as they pertain to traffic accidents. Our accident Attorneys are ready to get you what you deserve. Call and speak to one of our experienced attorneys to get your questions answered free of charge. Calling our offices is free of charge and can only serve to benefit you. Our attorneys are available 24/7 to protect you. Call our offices today and speak to an experienced Accident Lawyer to properly protect your interests and rights.